Become a certified teacher! The Single Subject Teaching Credential in World Languages allows you to teach one or more world languages at the K-12 level in California public schools. Come learn about the possibility of pursuing graduate study in Italy! This information session will cover all you need to know from obtaining a study visa to applying to Italian universities. Students in WLC 310 took a class trip to local, San Luis Obispo Italian restaurant Buona Tavola. WLC department chair Fernando Sanchez with his study abroad group in Teotihuacán, Mexico. Join the Italian Conversation Group! Join the Italian Conversation Group every Thursday from 11:00 - noon. We meet in Bldg. 10, Rm. 128. Join the Vietnamese Conversation Table! Join the Vietnamese Conversation Table every Friday from noon - 1:00 pm. We meet in the Center for Service in Action lounge (Bldg. 52-E22). Enjoy these videos of students using French! Join the German Conversation Table! Join the German Conversation Table every other Thursday beginning April 4th from 11:10 a.m. - noon. We meet in the Faculty Fishbowls, 220, near Julian’s Café in Kennedy Library. Join the Russian Conversation Table! Join the Russian Conversation Table every other Thursday beginning April 11th from 11:10 a.m. - noon. We meet in the Faculty Fishbowls, 220, near Julian’s Café in Kennedy Library. 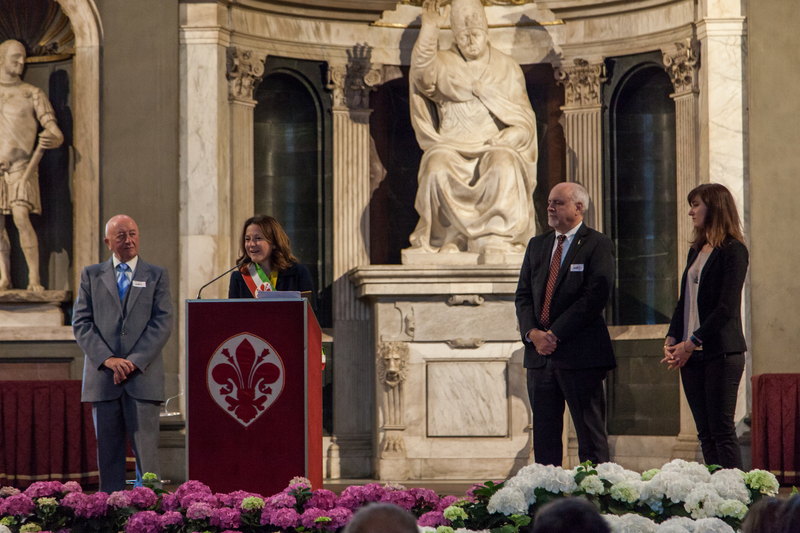 The ceremony celebrating the 50th Anniversary took place in Florence, Italy, and Cal Poly Students were able to participate in the 3-day event. Interested in mastering another language? Find out about the requirements to add a secondary language to your major. The World Languages Center has open hours available for WLC students to come in and finish lab assignments. The next online placement exam is TBA. The exam is always held in BUILDING 10, ROOM 128. No need to make a reservation. This is an online exam and the cost is $10 payable online.